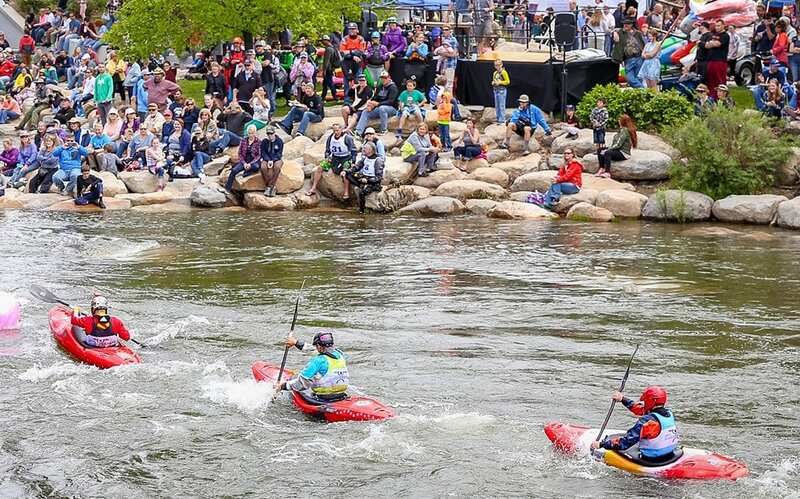 The Reno River Festival will take outdoor adventure to a whole new level May 11th and 12th in downtown Reno. In 2019, we’re expanding the experience with more live music, more craft beer, more shopping, and a brand new family-friendly scavenger hunt. The Music Festival within the Reno River Festival is getting amplified with the addition of a second stage! Set within our Craft Beer Village and Smuggler’s Village, the new stage will create an intimate experience featuring the artists behind some of the biggest hits on the radio performing the music they wrote for major stars. In addition to the new stage, we’re expanding the music lineup on our main stage, the Wingfield Park amphitheater, with more national acts. Previous acts include Old Dominion, Claire Dunn, Drake White, Brooke Eden, and Jimmy Allen. The Reno River Festival will be the place for must-see live music in 2019! We’re hopping up our Craft Beer Experience with more live music and more taps to satisfy your thirst. The Craft Beer Village on the Truckee’s peninsula peak is expanding. Not only will you have more craft beer options and more room, the Village will also give you the perfect view of the live music on our newly-built second stage, as well as the perfect view of the whitewater events. Upgrade to the full Craft Beer Experience and get access to our Limited Release Tent where you can enjoy the rarest craft beers from local breweries. Our Limited Release Tent is next door to our Summer Wine Village in the heart of the music festival. Both are prime spots to watch the live performances on our main stage. The Reno River Festival will be one of the biggest outdoor bars downtown has ever seen. The shopping at the Reno River Festival is getting a major upgrade. Before, our Smuggler’s Village was within the confines of Wingfield Park. In 2019, we’re expanding it to include the Reno Riverwalk! More than 100 shops will line the Riverwalk and fill the park with everything from handmade crafts to popular retail items. You’ll be able to shop for everything from summer clothes, home decor, purses, hats, jewelry, and more. Looking for something unique, locally made, or hand-crafted? The Reno River Festival will be the place to find it. In 2019, we’re also adding a new event to the Reno River Festival, a scavenger hunt. The competitive scavenger hunt will be a family-friendly, team oriented event that allows participants to discover Reno and its history. Competitors will explore Wingfield Park and the surrounding areas for their chance to win prizes! We’ll have full details on the scavenger hunt soon. Celebrating its 16th year, the Reno River Festival features food, shopping, family-friendly rides and attractions, a Craft Beer Experience, a Summer Wine Village, live music featuring nationally recognized artists, a Mother-Daughter Look-A-Like Contest, yoga in the park, and the Reno River Roll: one of the most unique bike rides in Northern Nevada. In the center of it all, the world’s top whitewater athletes take on the Truckee River Whitewater Park. It has become one of the region’s biggest events and marks the beginning of event season in Northern Nevada.